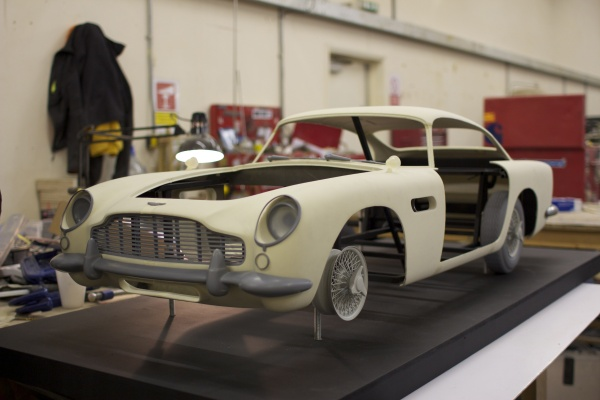 voxeljet builds Aston Martin models for James Bond film Skyfall #3dthursday « Adafruit Industries – Makers, hackers, artists, designers and engineers! 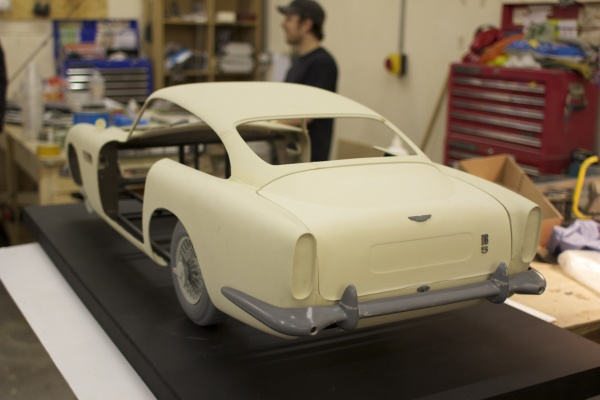 “Propshop commissioned us to build three plastic models of the Aston Martin DB5. We could have easily printed the legendary sports car in one piece at a scale of 1:3 using our high-end VX4000 printer, which can build moulds and models in dimensions of up to eight cubic metres. But the British model builders were pursuing a different approach. To ensure that the Aston Martin was as true to detail as possible, and for the purpose of integrating numerous functions into the film models, they decided on an assembly consisting of a total of 18 individual components. The entire body is based on a steel frame, almost identical to how vehicles were assembled in the past,” says voxeljet CEO Dr. Ingo Ederer. voxeljet started the printing process once the CAD data for all components were available. The models are produced with the layer-wise application of particle material that is glued together with a binding agent. The plastic material PMMA is used for this purpose; it is ideally suited for precisely these types of tasks. The individual components that are made of PMMA feature outstanding attention to detail, but are also very stable and resilient, which means that they are well suited for mechanical post-processing. Following the unpacking process, which involves the removal of unbound material from the finished components, voxeljet’s service centre looked very much like a body shop. 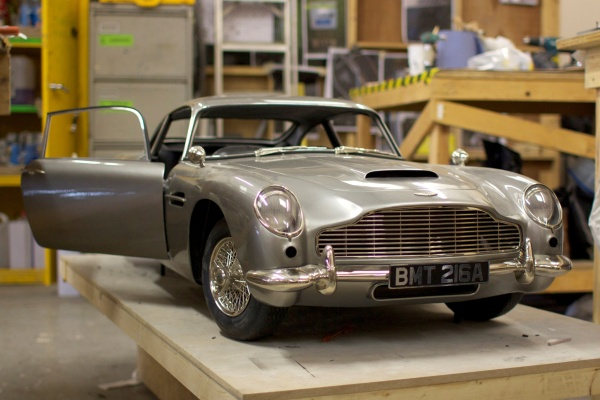 A total of 54 individual parts for the three vehicle models, including mudguards, doors, bonnets, roofs and more, now had to be safely packaged and transported to Pinewood Studios near London.